Choosing the best smartphone around 200 bucks is a very difficult task as there are many products available in the market. You also have to be very careful about available features in that phone. Because as the price drops many features also drops as well. Depending on user you may not need all the features available in a high valued phone. If you want to save some money you can go for a mid-range phone but still, it is possible to get almost all the features like a big budget phone. These mid-range phones are doing great day by day in terms of design, quality, and performance. Even many of them look very expensive and also come with a good camera, processor and excellent metallic design. Here we made a short list for you of some best-valued phone with nice spec and design. Are you looking for a big screen nice design smartphone with high spec but low in price? Then Huawei Honor 7X will be the best choice for you. It comes with a big 5.93 inch full HD display, 16,700,000 colors, 407 PPI pixel density, and edgeless screen, you will have a great video experience. A fingerprint of this phone is very fast and they put it in a nice place on the back which is very helpful. The dual lens (16+2MP) camera is very good for photography. Honor 7X is a handset with a big, bezel-free screen, good resolution, an advanced camera, excellent battery backup, and an undeniably high-end design but the price isn’t that high. Body: Aluminum; SIM: Hybrid Dual; Display: IPS LCD 5.93 inches, 16M colors, Gorilla Glass | Resolution:1080 x 2160 pixels, 18:9 ratio | Processor:4 x 1.7GHz Octa-core| Chipset: Hisilicon Kirin 659 | OS: Android 8.0, EMUI 8.0 | RAM:3/4 GB |, Internal Memory: 32/64 GB |; Rear Cameras: Dual 16 MP + 2 MP, Front Camera: 8 MP ; Fingerprint: Rear-mounted ; Battery: Non-removable 3340 mAh : Weight: 165g Other Features: External microSD slot, 3.5mm Audio Jack, Wi-Fi, Bluetooth 4.1, A-GPS, FM radio, Compass, Proximity etc. Available Colors: Black, Blue, Gold, Red, Gray. 1. Excellent design with a metallic aluminum body gives a premium look and feel. 2. The display is the best feature of this device. Its Full View display is very bright and rich in color. 4. The phone gets less heating even while playing heavy games. 5. The fingerprint sensor is good. It is very quick and accurate. 1. No 4k video recording. 2. Hybrid SIM slot: means you can use 1 SIM + microSD or Dual SIM at once. 3. This phone doesn’t support fast charging. 4. No Gyroscope sensor, no NFC. 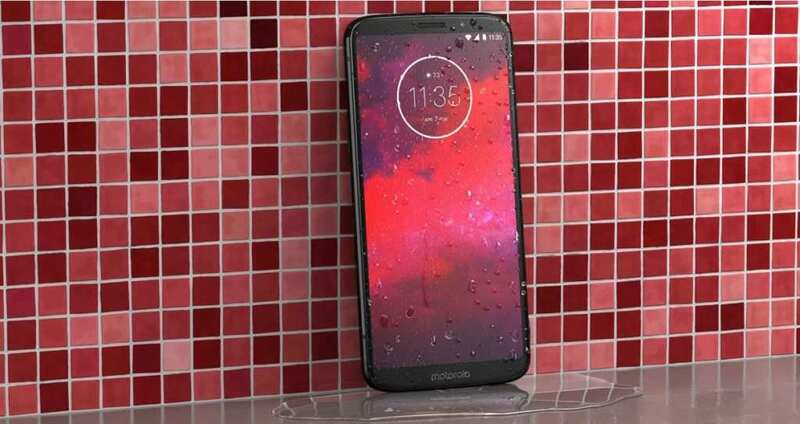 Motorola Moto Z3 is one of the world’s thinnest mobile phone, only 5.2 mm thick. But still, it comes with the latest technology, hardware, and design. It is made from a military aircraft-grade aluminum which is more durable but very lightweight. In addition, the phone is splash proof means you worry less during the rain. It comes with a 5.5-inch Quad HD AMOLED display same quality as Samsung Galaxy S7 Edge. It has a Qualcomm Snapdragon 820 quad-core processor like a high-end mobile phone. 13-megapixel rear camera with larger aperture is very good in daylight photography. You can also add extra lens through Moto Mods for more professional photography. This phone also has a 5MP front camera with LED flash. 4GB RAM with 64GB internal memory is enough but still, you have option to extend through a dedicated microSD card up to 2TB. A most amazing feature is Moto Mods, throw which you can customize your phone to add an extra speaker or battery. Moto Mods are not free though and it is quite expensive. Body : Aluminum, SIM: Nano-SIM, dual standby , Display: 5.5″ AMOLED screen, QHD, Gorilla Glass, splash-proof, Resolution: 1440 x 2560 pixels, 16:9 ratio ,Processor: Dual-core 2.15 GHz, Chipset: Qualcomm MSM8996 Snapdragon 820, OS: 7.1.1 (Nougat), RAM: 4 GB , Internal Memory: 32 or 64GB, MicroSD: expandable up to 2TB, Rear Cameras: 13MP camera, f/1.8 aperture, LED flash, Front Cameras: 5MP front-facing LED flash, Fingerprint: Fingerprint sensor, Battery: 2,600mAh battery, Weight: 136 g, Other Features: Dual-LED dual-tone flash, HDR, panorama. 2. Amazing extra features you can add with the phone like projector, speaker, extra battery etc. through Moto Mods. 5. Decent camera quality with larger aperture. Front flash also available. 6. Dedicated micro SD card slot expandable up to 2TB. 1. No 3.5 mm Jack. 2. Camera gives very poor performance in low light photography. 3. Battery life is not up to the mark. 4. Moto Mods are not free and they are pretty expensive. Redmi Note 5 comes with better hardware than its predecessor but not much change in design. This phone has a Snapdragon 636 processor with 64-bit architecture, makes it powerful for gaming. The big 5.99-inch full HD+ display with 18:9 aspect ratio, users will have a great video experience. A dual lens back camera is very good for daylight photography but its low light performance is not up to the mark. As usual this Xiaomi phone also comes with a big battery (4000mAh) and a good backup. Redmi Note 5 comes with 4GB or 6GB of RAM and 32/64 GB internal memory, so you don’t have to worry about speed or memory if you buy this phone. If you need more memory you can extend it through a microSD up to 128GB. Body : Aluminum, SIM: Hybrid Dual SIM, Display : 5.99 inches IPS LCD capacitive touchscreen, 16M colors , Resolution: 1080 x 2160 pixels, 18:9 ratio (~403 ppi density) , Processor : Octa-core 1.8 GHz Kryo 260 , Adreno 509 , Chipset : Qualcomm SDM636 Snapdragon 636, OS : Android 7.1.2 (Nougat) , RAM : 4/6 GB RAM , Internal Memory : 64GB, Rear Cameras : 12MP (1.25μm), f2.2, Sony IMX 486 PDAF primary, 5MP (1.12μm), f2.0, Front Cameras : 20MP (1.0μm), f2.2 Sony IMX 376, LED flash; Fingerprint : Fingerprint (rear-mounted) Sensors: accelerometer, gyro, proximity, compass , Battery : 4000mAh; Quick Charge 2.0 , Weight : 181 g (6.38 oz) , Other Features : Dual-LED flash, panorama, HDR, Available Colors : Black, Champagne Gold, Rose Gold, Lake Blue. 1. Larger HD+ display (5.99 inch) with good resolution. 2. 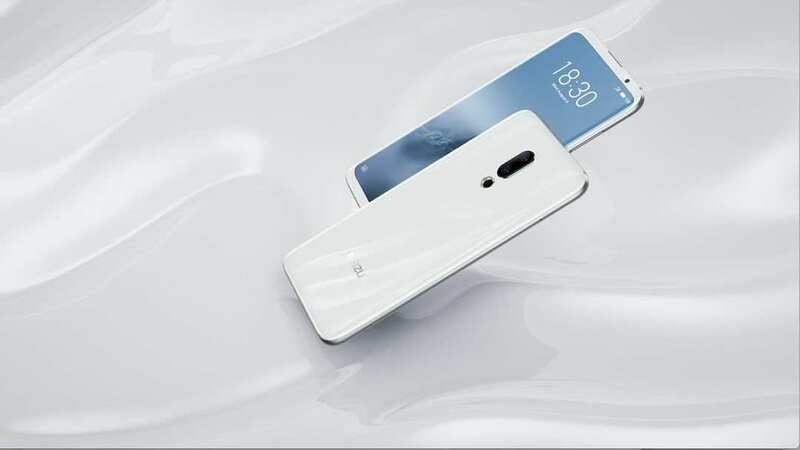 The Redmi Note 5 comes with a very thin bezel with 2.5D curved glass in full metal body feels expensive. 3. This phone have inbuilt IR blaster on top which allows the user to control IR supported devices like TV, AC etc. 4. Very good battery backup (4000mAh) is enough to stay wake more than one day with. 5. It has MIUI 9, which will give you a nice user experience. 6. Some features like one hand mode, MI cloud, VR etc. are very helpful. 1. The camera performances is not pleasant. It shows poor performance in low light photography. 3. Same design as its predecessor. 4. The Smartphone comes with a Hybrid SIM slot. 5. No earphones included in the box. Motorola Moto G5 Plus is the first G-series phone with a metal body. It is the most thinnest and lightweight device available in the current market (155g only). A 5.2 inch full HD display with excellent brightness looks great and very comfortable to operate. It comes with a front mounted fingerprint and performance is good. With dual-pixel autofocus technology, the 12MP camera performance is great. You can do 4k video recording with Moto G5 Plus. An Octa-core 2.0 GHz Cortex-A53 processor with Snapdragon 625 chipset is found inside and works very fast. This phone is available with 3 or 4GB of RAM and 16 or 32 GB of internal memory. Not enough memory? No need to worry, you can extend up to 128GB and no need to stop the second SIM. Moto G5 ships with Android 7.0 and upgradable to Android 8.0 (Oreo). It is a good phone for heavy games but the battery is only 3000 mAh. A good thing is it supports fast charging and 6 hours of battery life with only 15 minutes of charging. Body : Aluminum body , SIM: Dual SIM (Nano-SIM, dual stand-by), Display : 5.2 inches IPS LCD capacitive touchscreen, 16M colors, Resolution : 1080 x 1920 pixels, 16:9 ratio, Processor : Octa-core 2.0 GHz Cortex-A53 , Adreno506 , Chipset : Qualcomm MSM8953 Snapdragon 625 , OS : Android 7.1 (Nougat), upgrade to Android 8.0 (Oreo) , RAM : 2/4GB , Internal Memory : 32/64GB , Rear Cameras : 12MP, f/1.7, Front Cameras : 5MP, f/2.2 , Fingerprint : Fingerprint: front-mounted, Sensors: accelerometer, gyro, proximity , Battery : Non-removable Li-Ion 3000 mAh battery, Weight:155g, Other Features : Dual-LED dual-tone flash, panorama , Available Colors : Lunar Gray, Fine Gold . 1. Very lightweight Device (only 155g) with good design and metal body. 2. Splash proof and dust resistant device. 3. The Rear camera is really very good both for capture and video recording. It supports 4K ultra HD video recording. 5. You can use Dual SIM and microSD both at time. 6. It supports all major U.S. carriers. 1. Smaller display only 5.2 inches. 2. No USB Type-C port. 3. Battery only 3000mAH which is not enough for a day if you use even moderately. 4. Only US model have Compass sensor. 5. Bezels in top and bottom of the screen. Xiaomi Mi A1 phone is co-developed by Google as a part of Google’s Android One project. This phone comes with a common design like other Xiaomi phones but a full metal body feels great while holding it. Mi A1 has a 5.5” IPS capacitive full HD display. A dual lens 12MP 1.25μm f/2.2 + 12MP 1.0 μm, f/2.6 back camera provides nice shooting experience. You can also record a 4K video with this camera. The phone is powered with 2.0 GHz Octa-core processor and Snapdragon 625 Chipset, makes it a powerful device. The phone is available with 4GB RAM and 32/64GB internal memory option. Mi A1 ships with Android 7.1.2 and Oreo update is available under the Android One Program. This phone includes rear mounted Fingerprint sensor which is very fast. Other sensors are compass, proximity sensor, ambient light sensor, gyroscope etc. It comes with only 3080 mAh battery which may not be enough for heavy users for whole day. Body : Aluminum SIM: Dual-SIM, Display : 5.5″ IPS LCD display, Resolution : 1080 x 1920 pixels, 16:9 ratio , Processor : Octa-core 2.0GHz Cortex-A53 , Adreno506 , Chipset : Snapdragon 625 , OS : Android OS v7.1.2 Nougat, RAM : 4GB , Internal Memory : 32GB/64GB , Rear Cameras : Dual 12MP camera; wide-angle F/2.2 + telephoto F/2.6, Front Cameras : 5MP front-facing camera , Fingerprint : Fingerprint sensor (rear-mounted), Battery : 3,080mAh non-removable battery, Weight : 165 g, Other Features : Dual-LED dual-tone flash, HDR, panorama , Available Colors : Black, Gold, Rose Gold, Red. 1. Full HD 5.5 inches IPS LCD display with 16M colors. 2. Dual lens back camera and excellent performance. It supports 4K and slow motion video recording. 3. 2.5D curved-edge Gorilla Glass and full aluminum design gives premium look & feel. 4. Nice audio output because of new advanced Dirac HD Sound technology. 5. Only 7.3 mm thin, very good for both outlook and grip. 6. USB 2.0, Type-C 1.0 reversible connector. 2. Average battery life, only 3080 mAh. 3. No earphone and no fast charger in the box. 5. No FM Radio app in world version. Do you need a great battery backup? Then Asus Zenfone 4 Max is the best solution for you. With 5000 mAh battery and smart power management system, you will have very few options to beat this power giant. Moreover you can use this phone as a power bank. The display is standard 5.5” with only 720 x 1280 pixels, which is not up to the mark. A 13MP dual lens camera with 120° Wide view angle is very excellent for landscape photography. Camera aperture(f/2.0) is larger than average phone. Powered by a Quad core 1.4 GHZ processor and 3GB of RAM is good enough for most of the games. If you think 32GB internal memory is not enough, then you can add up to 256GB memory with a dedicated microSD card. The phone produces less heat while charging or playing heavy games. Some features like shake free video, 140° selfie panorama, fast charging, OTG, safety technology etc are very useful for day to day using. Body : Aluminum, SIM: Dual SIM (Nano-SIM, dual stand-by), Display : 5.5 inches S-IPS LCD capacitive, 16M colors, Resolution : 720 x 1280 pixels, 16:9 ratio, Processor : Quad-core 1.4 GHz Cortex-A53, Adreno308, Chipset : Qualcomm MSM8937 Snapdragon 430, OS: Android 7.0 (Nougat), RAM : 3GB RAM, Internal Memory : 32GB, Rear Cameras : Dual 13 MP, f/2.0, 5 MP, depth sensor, Front Cameras : 8MP, LED flash, Fingerprint :Front-mounted, Sensors: accelerometer, gyro, proximity, compass, Battery : Non-removable Li-Po 5000 mAh battery, Weight : 181 g, Other Features : MicroSD, LED flash, HDR, panorama, Available Colors : Black, Gold, Silver. 1. 120° Wide view Dual Rear Cameras. Shake free video recording feature. 2. Big battery and very long battery life (5000 mAh). 3. Supports Fast charging and reverse charging. It means you can use it as a power bank. 4. Intelligent power management technology for longer battery life. 5. Dedicated microSD slot up to 256GB. 6. Stays relatively cool while charging or playing games. 2. Wi-Fi without support for 5GHz. 4. Big Bezels in top and bottom of the screen. LG Q6 is a beautifully designed phone but lower in price. It comes with a full vision screen (18:9) with 5.5” full HD IPS display. A 13MP rear camera with f/2.2 larger aperture delivers nice photography experience. LG Q6 is powered by a lower midrange Snapdragon 435 chipset with Octa-core 1.4 GHz processor. The battery is only 3000 mAh. Its Face lock feature is quite fast and you wouldn’t feel the lack of a fingerprint sensor. Q6 is available in 4 different color and they will not disappoint you. Body : Aluminum + plastic, SIM: Dual SIM, Display : 5.5 inches IPS LCD capacitive touchscreen, 16M colors , Resolution : 1080 x 2160 pixels, 18:9 ratio, Processor : Octa-core 1.4 GHz Cortex-A53, Adreno505 , Chipset : Qualcomm MSM8940 Snapdragon 435, OS: Android 7.1.1 (Nougat), RAM : 4/3 GB, Internal Memory : 64/32 GB, Rear Cameras : 13MP, f/2.2, 1/3″, 1.12µm, AF, Front Cameras: 5 MP, f/2.2, 1/5″, 1.12µm, Fingerprint : No Fingerprint, Sensors: Accelerometer, gyro, proximity, compass, Battery : 3,000 mAh Li-Po, Weight : 149 g, Other Features : Face lock, NFC, panorama, Available colors: Black, Ice Platinum, Mystic White, Terra Gold. 1. Built with a 7000 series military-grade aluminum and excellent design. 2. Dedicated SD card slot expandable up to 2TB. 3. Full vision screen with Full HD Plus display. 4. Camera experience was good in the outdoor lighting, indoor & low lighting too. 5. Small bezels in top and bottom. 1. No fast charging. It takes around 3 hours for a full charge. 5. No 4K recording available. Huawei P9 lite looks very gorgeous like its flagship version P9 but lower in configuration and price. Made on aluminum frame with full bright 5.2” IPS LCD display, looks premium. You can buy it with 2 or 3 GB RAM but have to stuck with only 16GB internal memory. Kirin 650 chipset, a 64-bit Octa-core processor with 2.0 GHz is good enough for most of the games. 13MP rear and 8MP front camera is good in spec but performance is not up to the mark. Battery can hardly go through the day with moderate use as it is only 3000 mAh. A rear mounted fingerprint sensor is fast and comfortable to use. Body: Aluminum frame, plastic back, SIM : Hybrid Dual SIM, Display : 5.2 inches IPS LCD capacitive touchscreen, 16M colors , Resolution : 1080 x 1920 pixels, 16:9 ratio, Processor : Octa-core (4×2.0 GHz Cortex-A53), Chipset : Kirin650, OS : Android 6.0 (Marshmallow), upgradable to 7.0 (Nougat), RAM : 2/3 GB, Internal Memory : 16GB, Rear Camera: 13 MP, f/2.0, 1/3″, 1.12µm, AF, Front Cameras : 8 MP, f/2.0, Fingerprint: Rear-mounted, Sensors: accelerometer, proximity, light, Battery: Non-removable 3000 mAh, Weight : 147, Other Features : LED flash, panorama, HDR, Available colors: Black, White, Gold. 1. Very slim and lightweight (only 147 g). 3. Dual SIM 4G LTE support. 4. Full HD IPS Display. 1. Average camera and battery life. 3. 16GB internal storage but you will get half of it. 4. No dedicated microSD card slot. 5. No Gorilla Glass screen protection. 6. Compass and Gyroscope sensors are missing. 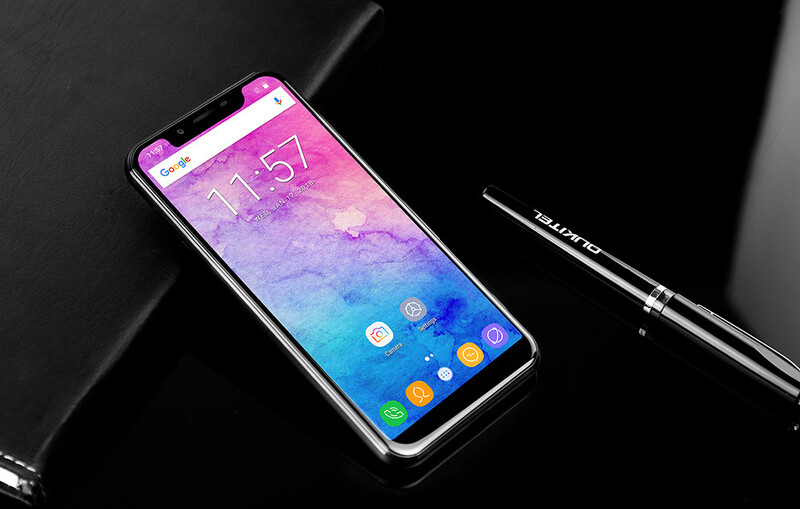 Oukitel U18 is a Chinese branded phone looks like iPhone X. A 5.85” large screen with 21:9 ratio is excellent for video watching. 4GB RAM and 64GB internal memory helps to operate the phone smoothly. This phone comes with a dual 16+13MP Sony lens and it is very good for photography. Face ID and rear mounted Fingerprint both options are available. Battery is good, 4000mAh, lasts more than a day for moderate use. Only black and gold colors are available. Body: Aluminum alloy, SIM : Hybrid Nano –SIM, Display : 5.85 inch Capacitive, Multi-Touch, LCD IPS, Resolution : 720 x 1440 pixels, Processor: 1500 MHz octa- core, Chipset: MediaTek MT6750T, OS: Android 7.0 Nougat, RAM : 4GB, Internal Memory: 64GB, Rear cameras: Dual 16 and 13 MP Sony IMX 135 Exmor RS, Front Camera: 7.99 MP, Fingerprint: Yes, available, Sensors: light, proximity, Accelerometer, Battery : Non –removable, 4000mAh, Weight : 213g, Other Features : Dual LED, Available colors: Black, Gold. 1. Big screen and full view 21:9 ratio. 2. Nice metallic design and build quality. 3. Very bright IPS panel. 4. Sony dual lens rear camera is good for photography. 5. Battery is great (4000mAh) and it stays long. 6. 4GB RAM and huge 64GB internal memory. 1. Clone design from Iphone X. 3. Huge weight (213 g). 4. Camera is not good for low light. 6. No LED notification light. No Gyro sensor. Elephone A4 comes with a full glass design and looks very attractive. It features with 5.85” large HD+ display powered by MT6739 Quad-Core processor and latest Android 8.1 Oreo. To play latest high quality games it has 3GB of RAM. It has 16GB internal memory and you can extend it with external microSD card. This phone got 8MP samsung camera in back and 5MP in front. It has 3000mAh Li-Po battery and supports fast charging. You can unlock the phone by both face and fingerprint. Elephone A4 exclusively got a side-mounted fingerprint scanner which is very fast and useful. Body: Metal + Plastic , SIM: Hybrid Dual SIM, Display: 5.85-inch, HD+ LTPS IPS LCD capacitive touchscreen, Resolution: 1440 x 720 Pixels,16M colors, Processor: Quad-Core 1.5GHz,PowerVR GE8100, Chipset : Helio P10 (MTK6739), OS: Android 8.1 Oreo, RAM: 3GB, Internal Memory: 16GB, Rear cameras: 8MP, Front cameras:5MP, Sensors: Proximity, Accelerometer ,Ambient Light, Battery: Li-Po Battery,3000mAh, Weight: 164g, Other Features: Continuous shooting, Digital zoom, Exposure compensation, Face detection, HDR, Available colors: Red, Gray, Gold. 2. Large 5.85 IPS HD+ display and its pretty good. 3. Supports OTG, USB Type-C.
4. Side mounted fingerprint is very convenient. 1. The camera is not good, only 8MP. 2. Slower performance by phone. 3. It gets hot early. 4. Internal storage only 16 GB. 5. No notification LED light. 6. No gyro, No NFC, No Fingerprint sensor.